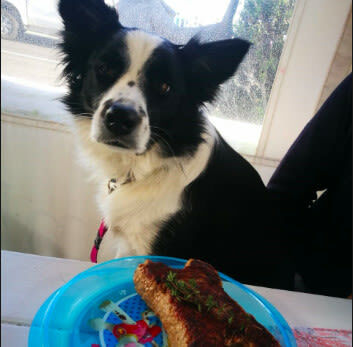 Steve Jooste of Die Damhuis restaurant in Melkbosstrand, Cape Town describes their menu for your furry friends. Not only are your canines welcome at the eatery, but now they have their own menu. He says there has been a demand for a dog menu and the restaurant has risen to meet it. They serve starters of mini-meatballs and chicken cubes. For mains they have a sirloin sans the bone, a doggy burger in the shape of a bone, and boerewors. And for dessert? Yes they serve two ice creams - one is a 'swishing strawberry' and the other is 'blasting biltong'. Most of the public have welcomed the idea and there are rules that apply to the pets. It's been one of the most popular ideas we have introduced. They do hand out 'doggy' bags but he says there is seldom any food left on the plate.